The lives of the Saints are full of extraordinary cures—- because after all, in St John's Gospel our Lord promised “Truly I say to you, whoever believes in me will do the works that I do, and will do greater ones than these, because I am going to the Father. And whatever you ask in my name, I will do, so that the Father may be glorified in the Son"
The task then for this website is to select a few of miraculous healings that are representative of the countless that have occurred in the lives of the Saints over the centuries. 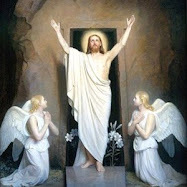 I have decided to select three miracles that occurred recently in modern times, the first one especially being well documented by the medical experts. I think these three miracles together give a good representation of the countless miraculous cures that God has wrought in the lives of the Saints. Giovanni Savino, a construction worker and a member of the Third Order of St. Francis, was a devoted spiritual son of Padre Pio. In February, 1949 the thirty-five-year-old construction worker was working on the construction of an addition to the friary where St Padre Pio lived. The workers were leveling the ground and were getting ready to blast a huge boulder that was impeding the construction. It was Savino's custom to attend Padre Pio's Mass each morning, then proceed to the sacristy to receive his blessing. On February 12, 1949, Giovanni was startled when, without any explanation, Pio, having blessed him, embraced him and said, "Courage, Giovanni, I'm praying to the Lord that you might not be killed. " "Padre Pio, what's going to happen to me?" Savino asked. The priest was silent. The next day Padre Pio said the same thing, without any further comment, as he did also on the third. 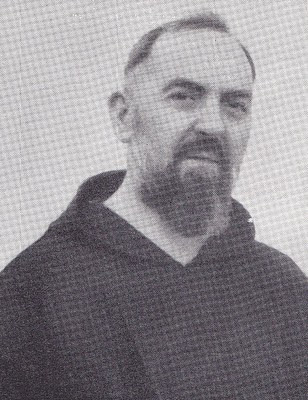 When he repeated his disturbing remarks for the fourth time on February 15, Savino muttered to one of the friars, "I'm afraid something wrong is going to happen today," and told other members of his crew, "Let's not work today," telling the other men about Padre Pio's remarks. 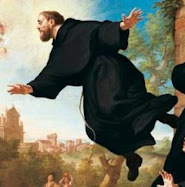 The crew decided to proceed, undeterred, in blasting away from the garden in preparation for the friary addition..
At 2 P.M. Savino and another worker placed a charge of dynamite under a boulder. Savino set the charge and lit the fuse. It failed to detonate. After a few minutes, he went over to check the charge. Just as he bent over, the dynamite blew up in his face. Dr. Sanguinetti, along with Padre Raffaele and Father Dominic, were at the side of the injured man within minutes. They carried Savino to Sanguinetti's car, in which the physician drove him to the Ospedali Riuniti (Hospital) of Foggia, where he was admitted for surgery. "Numerous foreign bodies" were removed from the cornea of the left eye. The right eye, however, was found to be completely destroyed. Moreover, his face had been severely damaged by the blast. 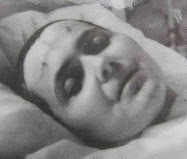 Sanguinetti drove back to San Giovanni where he told Rosa, who was then heavily pregnant, "Your husband's eyes are both destroyed," and warned her not to try to visit him. 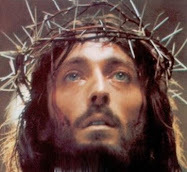 He then went to Padre Pio, who asked how Giovanni was, "He's been blinded. He's lost his eyesight." "Don't you know that this isn't certain yet?" replied Padre Pio. "Well, if you say that and you and Our Lady of Grace assist him, anything is possible, but, as of now, Giovanni has lost his eyesight." "It's not certain yet," Pio repeated. It was three days before Savino regained consciousness, with his entire head and face bandaged. He was told that it might be possible to save the left eye, but that the right eye was "completely gone." In the meantime, Padre Pio was asking everyone he knew to pray for Giovanni for three days. He exposed the Blessed Sacrament in behalf of the blinded man. He was heard to pray, "Lord, I offer You one of my eyes for Giovanni, because he's the father of a family." At 12:30 or 1 in the morning of February 25, Giovanni Savino was awake, praying the Rosary, when he smelled the "aroma of paradise." To the heavy smoker, it smelled like tobacco. He felt three slaps on his forehead and understood that it was Padre Pio near him. He actually felt the tightness of the bedclothes caused by someone standing against the bed. "Give me my sight, Padre Pio, or let me die," he said. "I cannot live like this." Later that morning the ophthalmologist came to examine Giovanni Savino's left eye. When the doctor took the bandages off Giovanni immediately said "I can see you!" "Turn, so you can see me with your left eye," said the doctor. "No, I see you with my right eye. I don’t see anything out of my left eye." The doctor insisted that he was seeing out of the left eye, as the right one was totally destroyed. After further examination, it was clear that Savino spoke the truth. He was blind in the eye from which the shrapnel had been removed, but he was seeing perfectly from the eye that had been shattered to a bloody jelly. Completely astounded, the ophthalmologist, who up to that time had been an atheist, exclaimed, "Now I too believe, because this has happened right before me." In the meantime, Giovanni and his wife Rosa's was expecting a baby at any time. Rosa asked Padre Pio, who told her that the child would be a boy, if she had permission to name the child after him. "All right, name him Pio," he said. "But we already have a girl named Pia. May we name him Francesco?" "All right, name him Francesco." St Pio replied. [Francesco is Padre Pio’s first name]. Francesco later grew up to become a Capuchin priest, the same Religious Order as St Pio..
[Giovanni and his son Francesco are pictured to the left]Giovanni, who was still being treated for the extensive injuries to his face, was released from the hospital in early June. When he thanked Padre Pio, he was told, "If you only knew what this cost me!" So, what exactly did it cost him? A clue may come from the recollections of Pietro Cugino, himself blind, who recalled that one day, in the garden, while talking to his confreres, Padre Pio suddenly exclaimed, "I'm blind. I can't see thing." After twenty minutes, his eyesight returned. Cugino was unsure about the exact date of this occurrence, but some believe it certainly could have been that this brief and inexplicable episode of blindness came about as a result of the offering Padre Pio had made in behalf of Giovanni Savino. 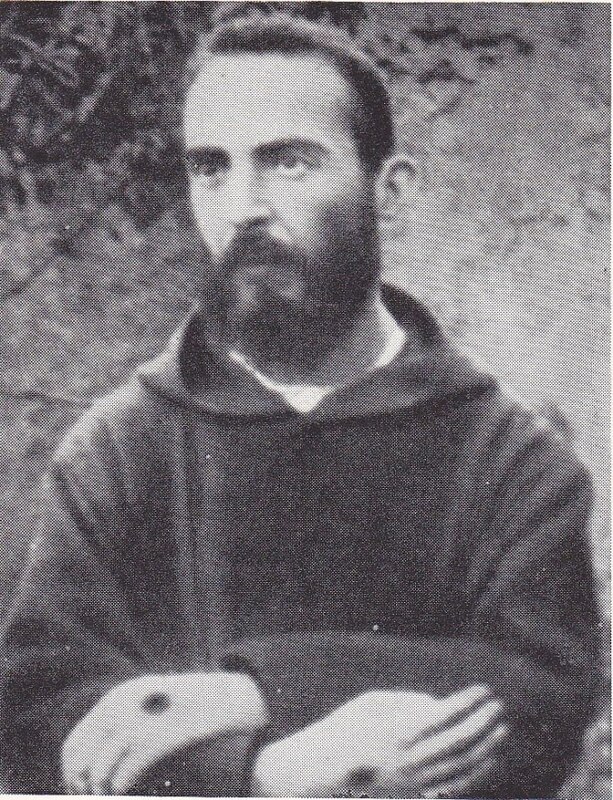 Either way, in this case, St Pio did not deny his intercession on behalf of Francesco as he did with other supposed cures or supernatural happenings that surrounded him. As time went on Giovanni was sent to an eye specialist in Rome for treatments to the left eye, in spite of St Padre Pio's prediction that these visits would do no good. . "No," Padre Pio said, "we have already obtained the grace which we have asked for. Even if you go to Rome you will not get any better than you are right now." And in fact, he remained always blind in the left eye, but until the day of his death at sixty in the spring of 1974, he could see perfectly well out of the right eye. His wife recalled, "To look at his eye, it always looked a mess. Yet he could see perfectly out of it." The restoration of the sight of Giovanni Savino is well documented by the Medical experts for it has impressive attestation. Father Dominic described it in a circular letter in July 1949 month after Savino's return from his hospitalization in Foggia. The records of the “Ospedali Riuniti” record that Savino was admitted to surgery there and that the diagnosis was that one eye had "numerous foreign bodies in the cornea" and that the other eye was "blown out." The records do not mention the resolution of his injuries. The key words in the “Ospedali Riuniti” is “emoptalmo” which means completely evulsed or literally “completely torn out”. But then how in fact did he see out of this eye, when it was completely or almost completely “blown out”? Additionally, the account that he gave is essentially the same as that given in official depositions made by Giovanni on July 17, 1971, and by his widow on July 1, 1989. It is clear that the eye through which Savino was able to see was the one which had been damaged most extensively. All the reports are in agreement that the right eye (the one later cured) was destroyed and almost completely missing. In his circular letter of July 1949, Father Dominic quotes Padre Raffaele, who examined Savino immediately after the explosion, as saying, ''The right eye is gone entirely. The socket is simply empty." Savino himself said that he was told by the doctors that the eye was "completely gone." Giovanni’s wife Rosa insisted that "a small amount of bloody flesh" remained in the socket when Savino was taken to the hospital. She denies that her husband received a "new" eye. "It was always with his own eye that he saw. It was a mess, but he could see out of it." Finally the official medical report from the Hospital states “emoptalmo”, that is, completely evulsed or “torn out” In the end, one can only conclude that rather than seeing with a new or regenerated eye, Giovanni Savino saw without eyes for 22 years, until his death in 1971. 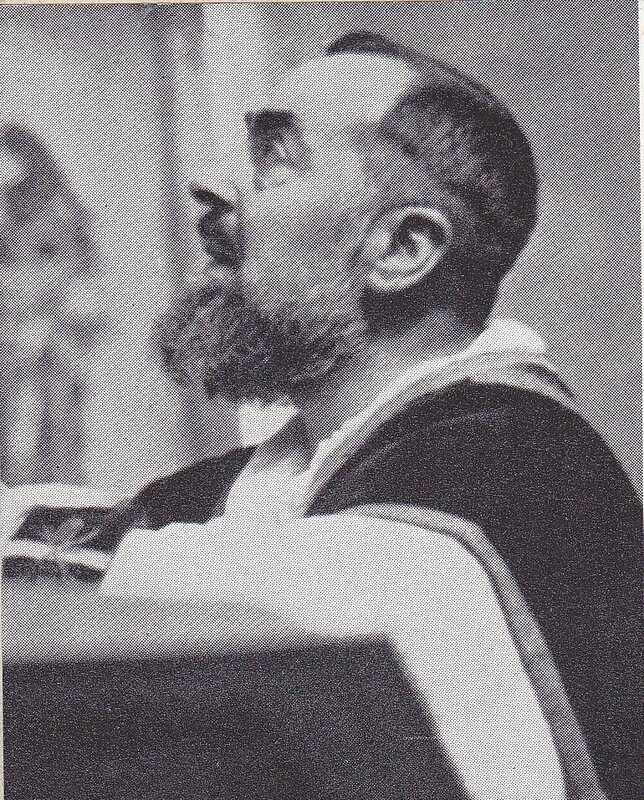 Another of the many miracles attributed to the intercession of St Pio was one that was reported during the summer of 1919, word of which reached the general public and the newspapers, despite the best efforts of Padre Benedetto and Padre Paolino who always sought to keep such matters hidden. One of them, witnessed by Padre Paolino, concerned one of San Giovanni Rotondo's most unfortunate persons, an old man named Francesco Santarello. He was so pathetically clubfooted that he was unable to walk. Instead, he dragged himself about on his knees, supported by a pair of miniature crutches. The unfortunate little man labored up the hill to the friary to beg bread and soup, as he had done for years. Poor Santarello was a fixture in the community and everyone knew him. Some of the more uncharitable children of the town loved to tease the unhappy beggar, going so far at times as to knock the crutches from under his shoulders and then laugh uncontrollably as he tumbled onto the pavement. One day Santarello was positioned, as usual, near the door of the cloister, soliciting alms. A huge crowd had gathered, waiting for Padre Pio to emerge and enter the church. As Pio passed by, Santarello cried out, "Padre Pio, give me a blessing!" In front of dozens of people, Santarello threw his crutches away, and for the first time in his life, began to walk on his deformed feet to the utter astonishment of his fellow townspeople, who but a few minutes before had seen him lurching about, as always, on his knees. Santarello lived for some time after that. He never used his crutches again and was able to function quite well with the aid of a cane. Miscio and other city clergy contended that it was not truly a miracle because there was no substantial change in Santarello's physical condition. His feet remained just as badly clubbed as ever, with the toes pointed in the same direction as the heels, and there was no apparent remission of his mental retardation. Yet, for the little beggar and his acquaintances, that he could now walk rather than crawl was miracle enough. One day, also in 1919, a priest from Florence came to Our Lady of Grace with a Jewish friend named Lello Pegna. Padre Carlo Naldi explained that his friend, who had recently become totally blind, had come to ask Padre Pio to intercede with God for a cure. Padre Paolino, who was an eyewitness, simply left a few notes about the incident. There was no doubt that Pegna was blind and was of the Jewish faith. Someone had even to help him eat, putting his plate in front of him, cutting his bread and meat, and placing the glass of wine in his hand. Padre Pio welcomed Pegna but told him: "The Lord will not grant you the grace of physical sight unless you first receive sight for your soul. After you are baptized, then the Lord will give you your sight." Several months later Pegna returned, this time without his dark glasses. He then explained that he had, despite opposition from his family, become a Christian and had been baptized, as was requested by St Pio. At first he was discouraged when his blindness persisted. It was perhaps another test of faith. But gradually, over a period of months, his sight returned, and the doctor who had previously informed him that he was hopelessly blind now was astounded that his patient’s eyes were perfectly healed. Padre Paolino felt it was his duty to keep in touch with the man and he reported that nearly thirty years later, his vision was still perfect. The above are but three of the many cures of one Saint of the Church, and because they are all of relatively recent history, they represent quite well the extraordinary graces that God has manifested in the lives of His devoted servants throughout the centuries. 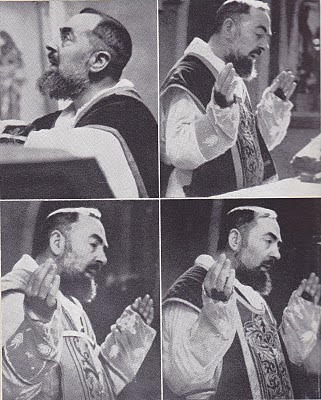 -"Padre Pio The True Story" by C. Bernard Ruffin, Our Sunday Visitor Publishing, 1991. Wow--this is very inspiring and uplifting! Thanks for publishing this! GOD is amazing, let Him be amazing for you!!!!!!!!!!!!!!!!!! I was blessed recently with a relic of St Pio. Alas so far I've not had any remarkable physical healing. 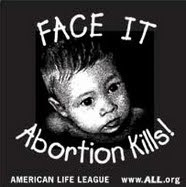 However as a catholic I am probably more healed spiritually than physically!. We are all going to end up in Heaven or Hell, I'd prefer Heaven over anywhere else. So if I don't get the physical healing oh well, keep praying! May God lighten your way and spirit John M. You are and will be blessed. Several weeks ago while two spanish priests were given mass at St. Sharbel Maronite Catholic Church, here in Las Vegas, the statue of St. Sharbel started to "bleed oil" from the head, chest and palms of the hand. For protection the Knights of Columbus have been guarding the statute. If your in Las Vegas, you are invited to come see for yourself and form your own opinion. Personally, I went out and saw the oil coming out of the statute. St. Sharbel has more than 300+ miracles attributed to him. Checkout Father Francisco Truong Buu Diep from link below. Father Francisco came to small village in Vietnam to preach about God and Catholic Church. When communist invaded this village, Father Francisco told the communist soldier to spare the life of innocent people and take his life instead. The communist killed Father Francisco in 1946, chopped his dead body to pieces, and throw in the river. After his death, the village, mostly non-Catholic people, came to the river and cried for Father Francisco. There were so many people mentioned that after Father Francisco death, they saw Father Francisco came back to life and bought foods to many small villages and medicines to cure the sick. He even paid debt for many poor families from high interest. One Catholic church in another small village was badly damaged but don't have monies to repair mentioned that a truck came and delivered building materials to the church. The priest told the men to take it back as they did not purchased the materials. The men then showed the priest the invoice that it was already paid by another priest named Francisco for parts and labors. In one TV interview show, the building constructor owner mentioned that he did not know Father Francisco. The store owner was so shocked to see picture of Father Francisco and learned that he passed away in 1946. The store owner was so confident that it was the same person in the picture came to his store with large amount of cash to purchase materials for the church. Today, many Vietnamese people all over the world have received infinite miracles from Father Francisco. 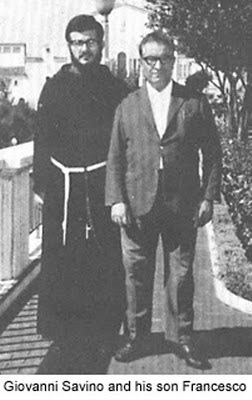 Yet, Father Francisco remained as a living and dead priest to many non-Catholic people in Vietnam. Not sure why he is not a saint yet. Thank you for the interesting information about Fr. Francisco Truong Buu Diep. St pio pls pray for my family in this trying time. As for you Glenn Dallaire, may the good LORD continue to bless you, your really doing a good job. Padre Pio is the man!